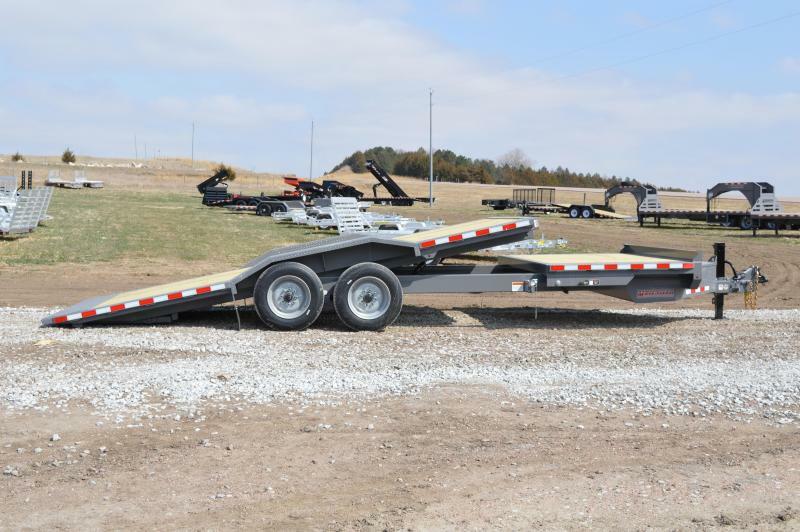 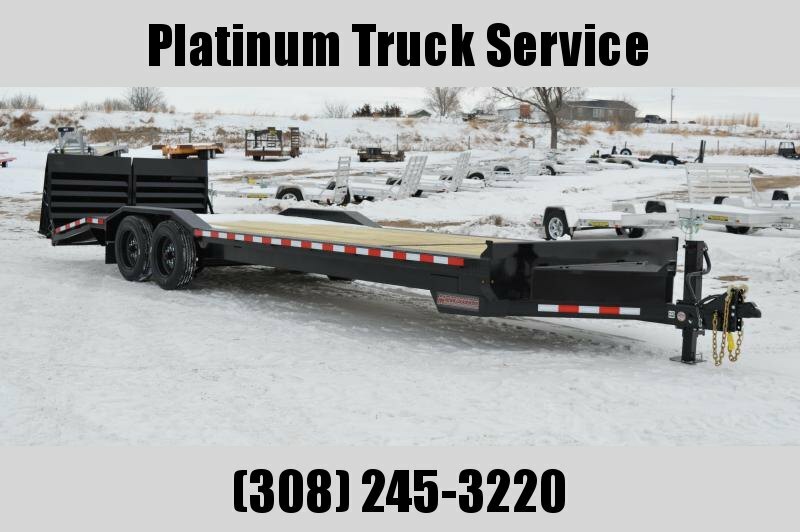 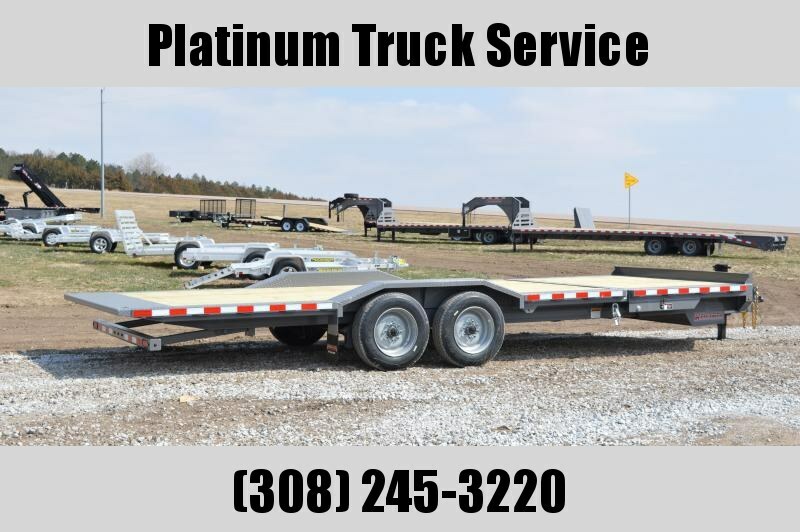 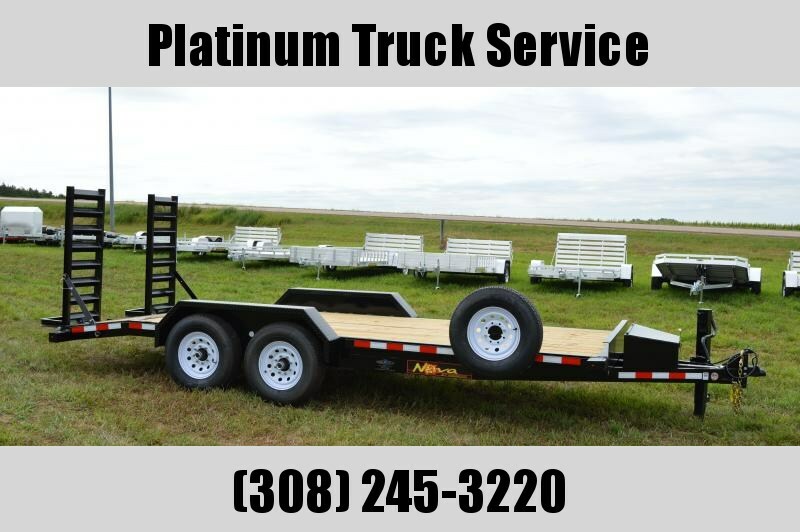 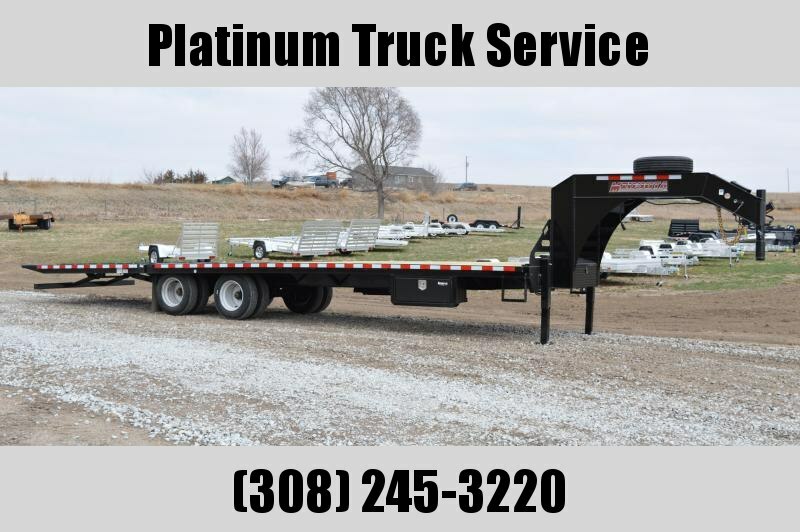 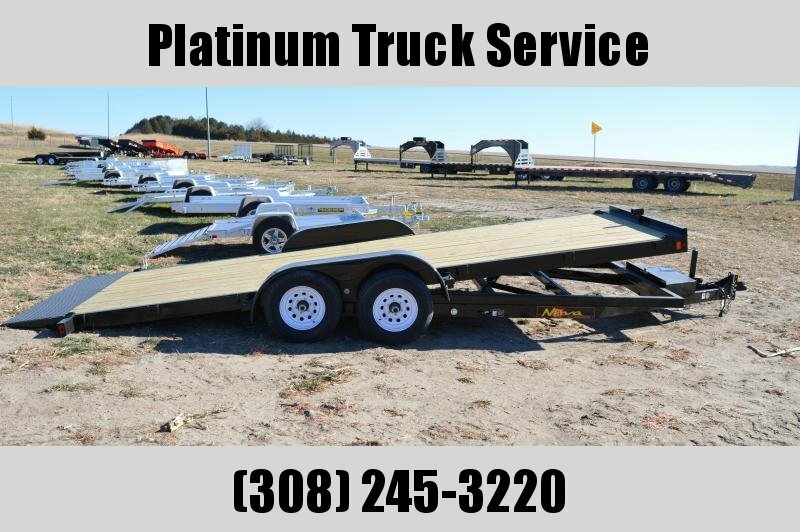 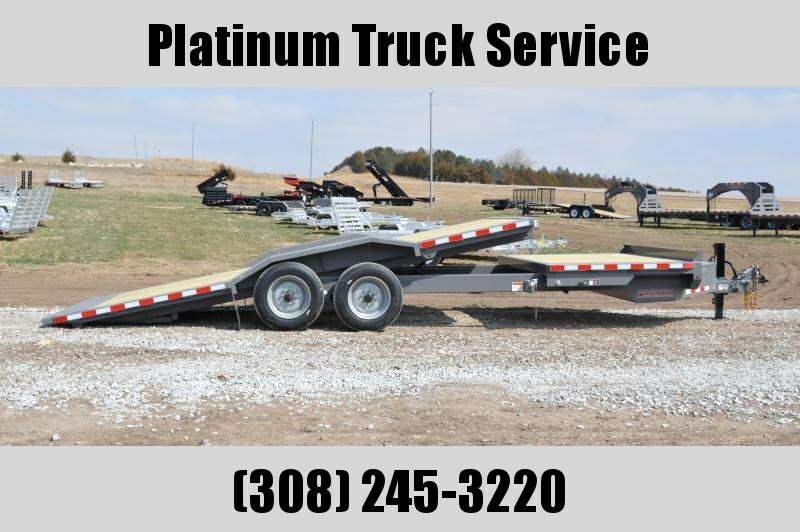 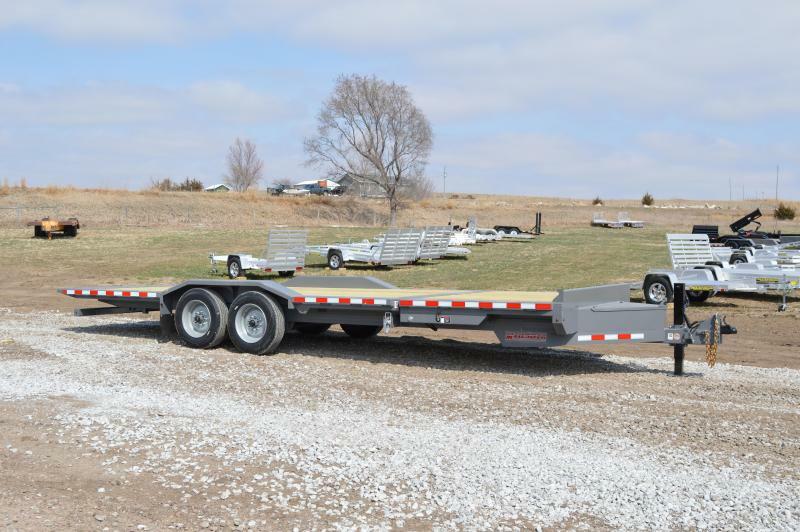 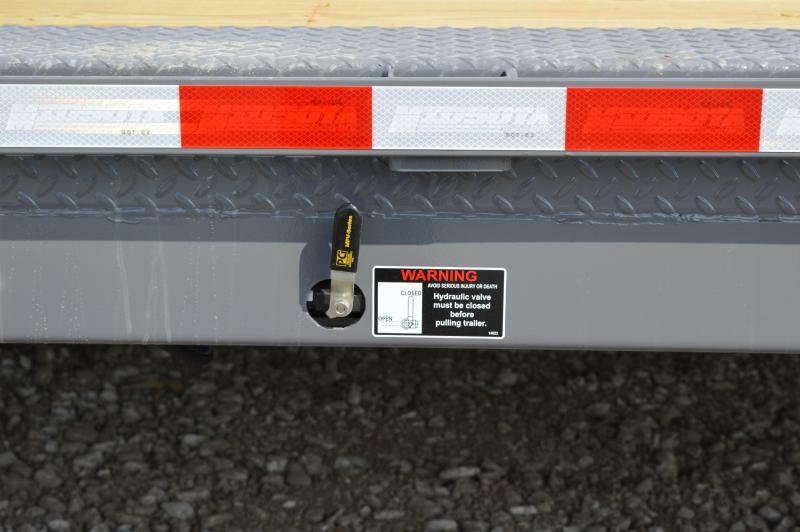 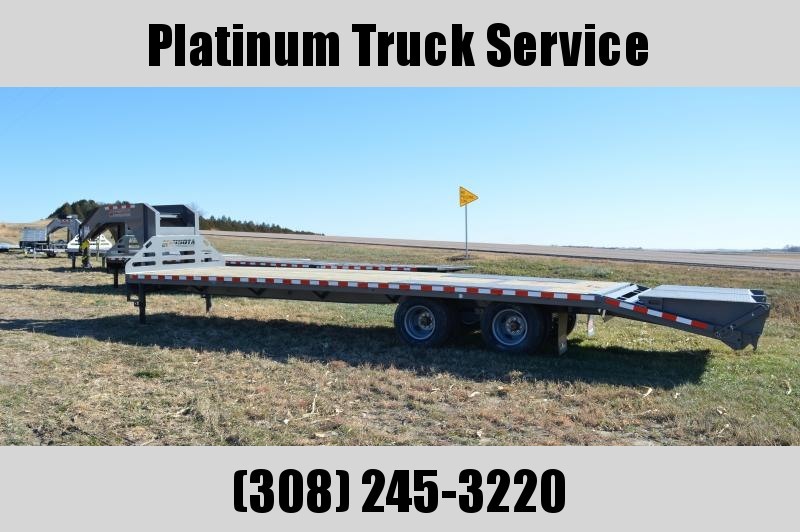 This is a tilt bed wide body trailer that has a deck width of 102" and comes in a number of lengths . 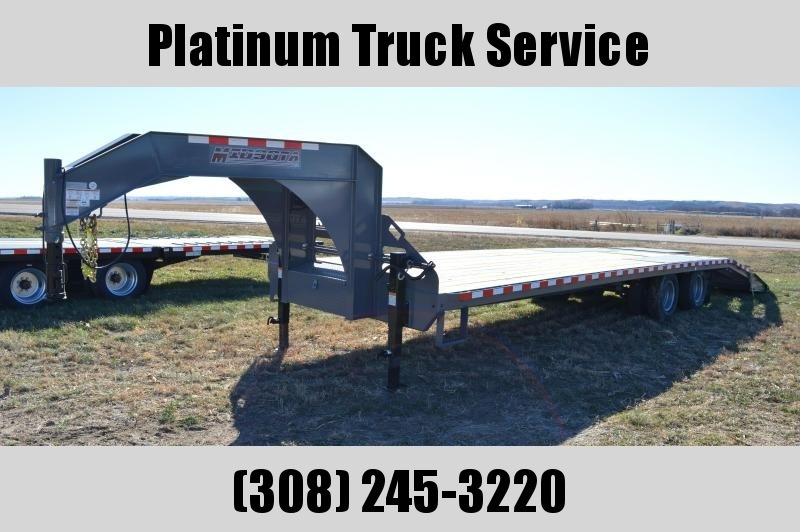 This one is a 24' length with a 6' stationary and 18' tilt that has a tilt range of 14* angle . 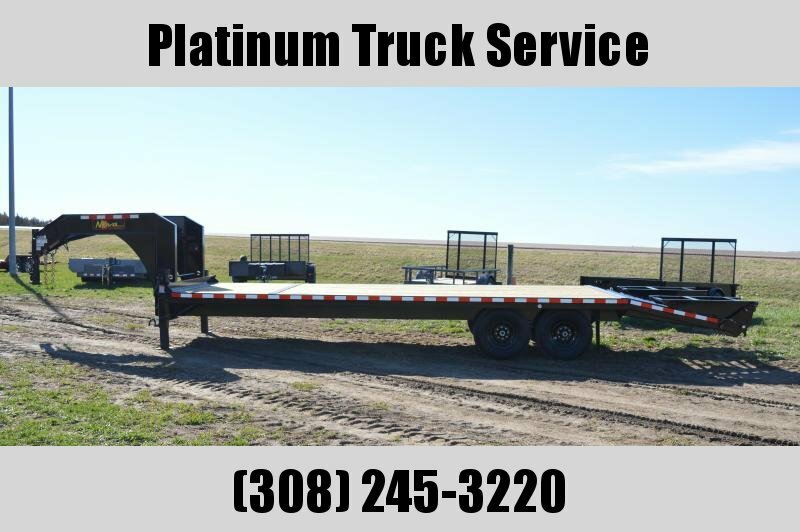 Comes standard with 8k axles and a GVWR 17,600 lbs . 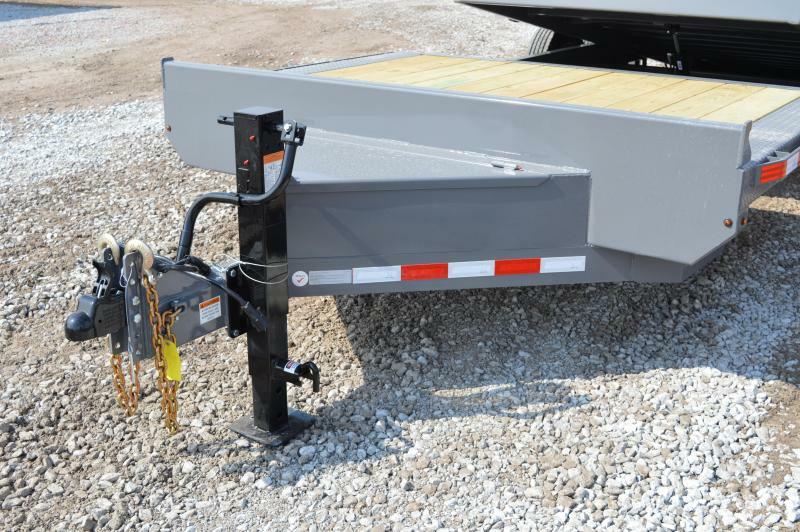 Has 2-5/16" adjustable coupler with a 12K bolt on spring return jack . 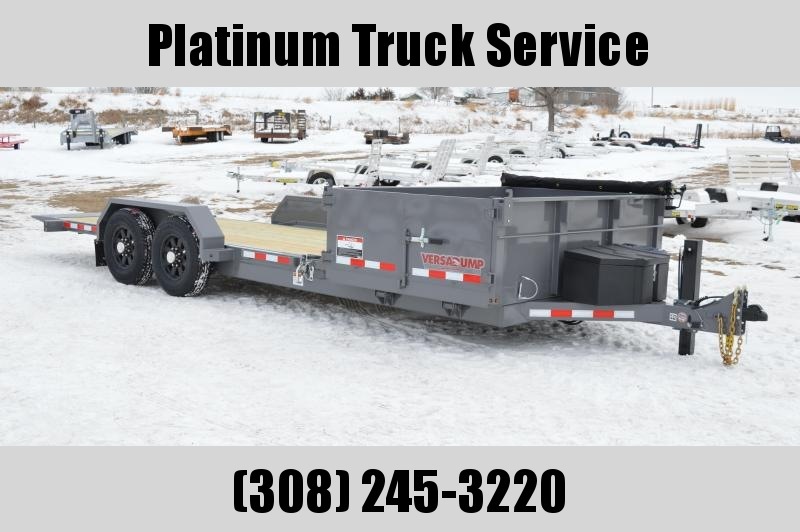 A-frame tool box that is 14" deep , LED lights , electric brakes and Emergency backup brake system , 17.5" Gray steel rims with 16 ply Onyx tires , crossmembers are set on 16" centers ,Deck height is 27.5" from ground . 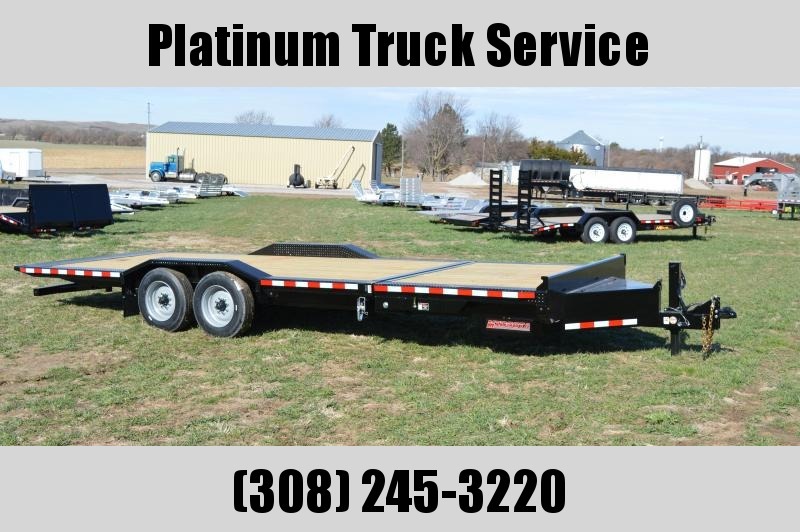 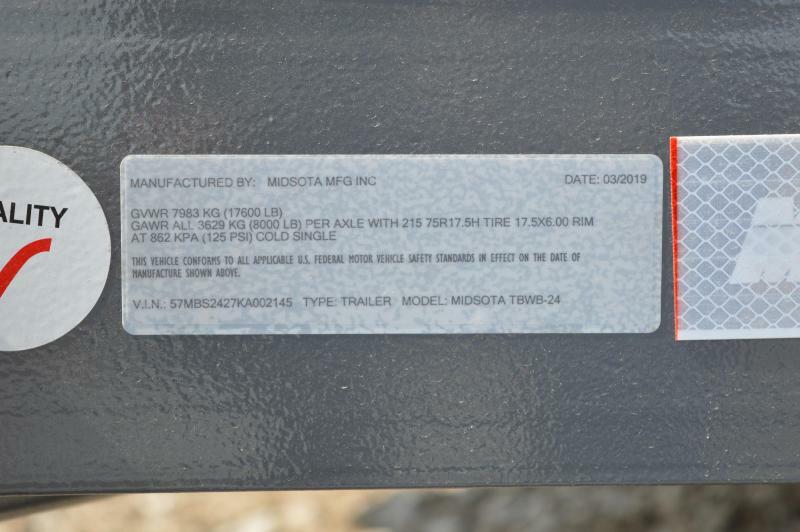 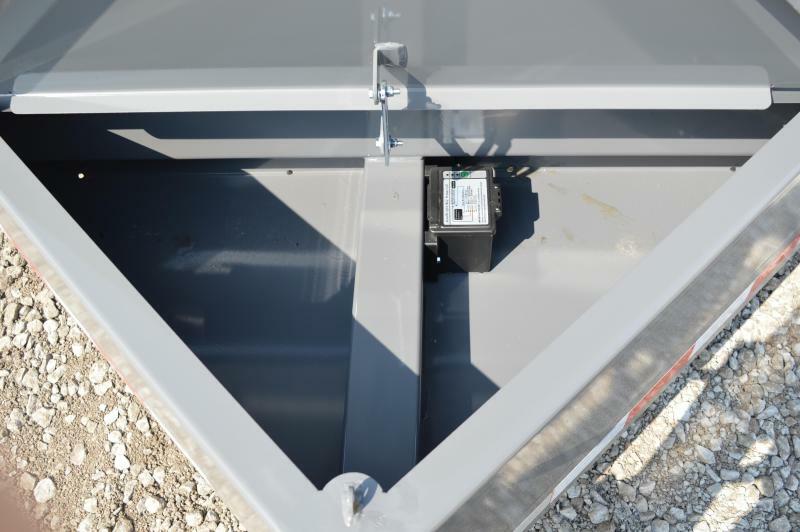 Trailer color is Gray and comes with a 5 year frame warranty and a 2 year PPG paint warranty .